I haven’t been much of a cat person since my old cat, Richard scratched me on the leg when I was about three to five. Since then, I’ve been more of a dog person, having two golden retrievers and a black Labrador. But growing up, I started getting used to having to see cats everywhere. Back in the firing range there is this cat I feed, and I call him, “Chippy” or “Chips” since that’s what I feed him. But anyway, looking for more things to post on my Tumblr, I decided to search on the tag, #Cats. And coincidentally, I found a post on a cat breed that I got intrigued by. 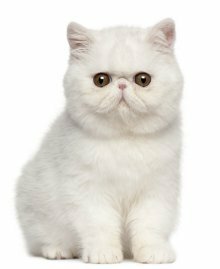 The Exotic Shorthair Cat, I instantly fell in love with the cat and decided to find more images. Learning that the Exotic Shorthair is a calm cat, I’ve been wanting one ever since the end of last year. more info on the Shorthair Cat [here]. The other day, I got big brown tortoise reading glasses. Upon getting glasses my father and I were walking around the mall. And looking at one of the small stores, I finally found it… A DOLLY BOW. Now, I also forgot to mention a little while back that the images I posted on a Dolly Bow were wrong, but it kind of slipped my mind. But before I show the real images, I would like to share my horribly boring and long story. So anyway, even if I saw the Dolly Bow, I didn’t get to buy it because we were in a rush. But fate played differently.. Today, my aunt was feeling generous and asked if I wanted to go with her to the mall.. And yes.. I FINALLY GOT IT! 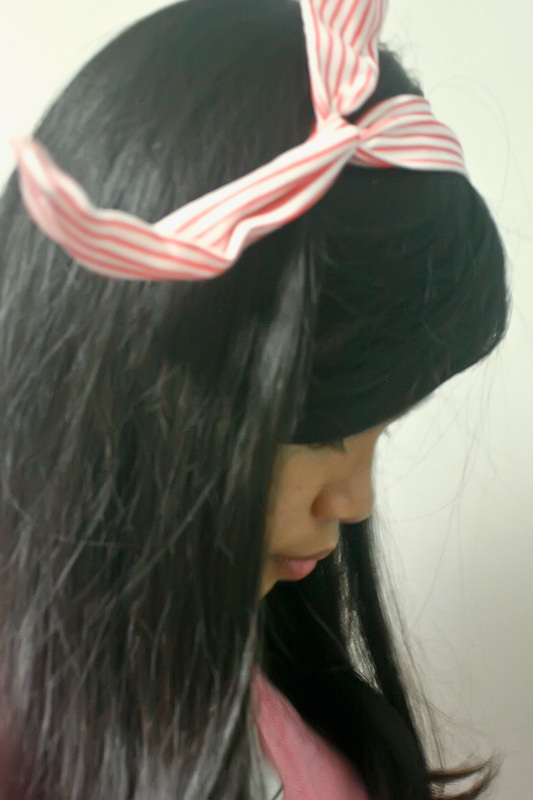 Not only that, but I also got two ribbon/bow hair clips and a headband with a ribbon on it. The images I am about to post are horrible. I took them tonight and there wasn’t enough light cause it’s raining so hard! My skin looks darker and I had to crop the images so it would be less space.. So I apologize in advance. TADA! This is a REAL Dolly Bow. Purchase one here. TIP : You can also move the Dolly bow to the center or to the side. Over here, I tied my bow to the side. 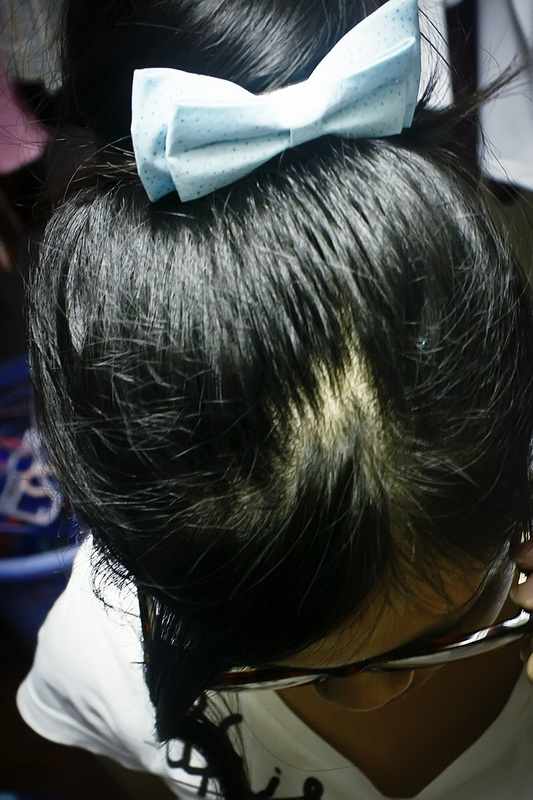 TIP : it is better to use a scrunchy with the SAME color as the headband you are using. My secret in this photo : If you find the ring cute, it is actually my hair clip. 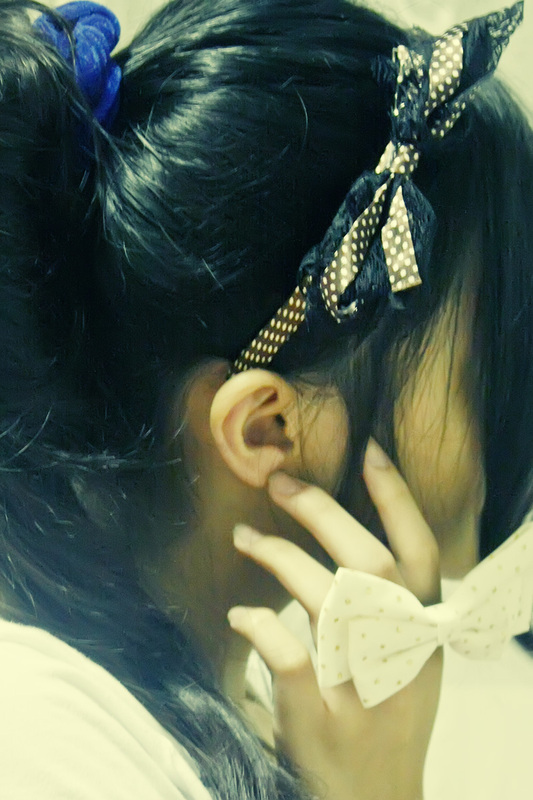 It is the same with the hair clip I used on the first photo except it is white and it has golden polka dots. One of the reasons why I love this show is because it’s random and fun. I feel nine years old again. The show is about Finn the human, a 13 year old boy and his friend, Jake the dog. Basically they live in the land of Ooo, doing random things and saving princesses from the Ice King. The characters in this show are hilarious along with their funny quotes and characteristics. Unlike some shows, Adventure Time doesn’t have a main plot, so everything is random. Today is the end of my birthday and youy know what? My tita Magi bought me some cool gifts which i really love! first i got some silver/pink biker sketchers and a Hello Kitty Musical Jewelry box which was my favorite of all You know why? Because i just LIKE no not like i LOVE Hello kitty!!! Well that’s all my birthday gifts!!!! Today is my birthday January 9.1999 on . And Today is my birthday!!!! I am happy because my Birthday girft was so cool!Even though it was not a My Life like I wanted it to be it was still cool! My birthday gift is a Gameboy micro!!! now i downloaded the games: Pokemon emeralversion and Bratz forever Diamondz!!! Hi everyone! One January 9 i’ll be turning 10! and you know what i want for my birthday gift? A My Life Pink Electronic Game! It’s sort of life a DS or PSP but it’s an online game that I can bring anywhere! Here check it out!